Death Valley's Harsh Desert Blanketed With Wildflower 'Super Bloom' : The Two-Way Death Valley, Calif., one of the hottest places in the world, is in bloom with more than 20 species of desert wildflowers. It's the biggest bloom the park has seen in a decade. The National Park Service says this year's wildflower bloom is the best one Death Valley has seen in years. Death Valley, Calif., one of the hottest places in the world, is in bloom with more than 20 species of colorful desert wildflowers. In a statement, the National Park Service says that after unusually strong storms and flash floods last October, "the current flower display is the best the park has experienced in a decade." Some visitors are calling it a "super bloom," and so is the park's own Instagram feed. "I'm not really sure where the term 'super bloom' originated, but when I first came to work here in the early 1990s I kept hearing the old timers talk about super blooms as a near mythical thing–the ultimate possibility of what a desert wildflower bloom could be. 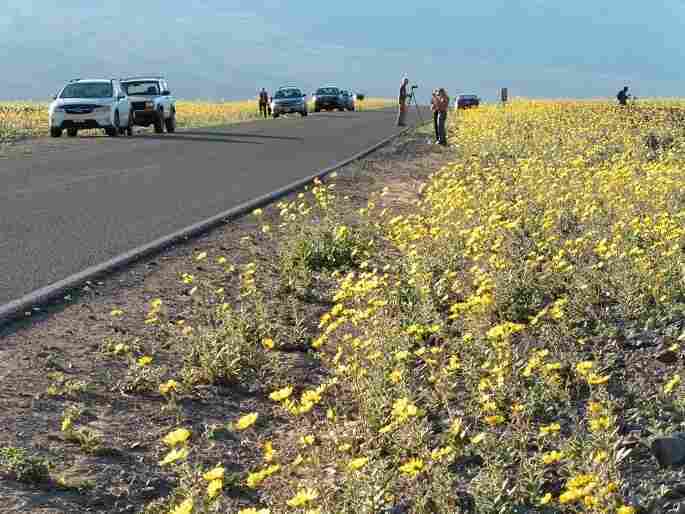 I saw several impressive displays of wildflowers over the years and always wondered how anything could beat them, until I saw my first super bloom in 1998. Then I understood. I never imagined that so much life could exist here in such staggering abundance and intense beauty." Mesquite Flat Sand Dunes in Death Valley. That harsh landscape is covered in seeds, and "when you get the perfect conditions, the perfect storm, so to speak — those seeds could all sprout at once," Van Valkenberg says. The park notes previous "super blooms" in 1998 and 2005 happened during El Nino years like this one. 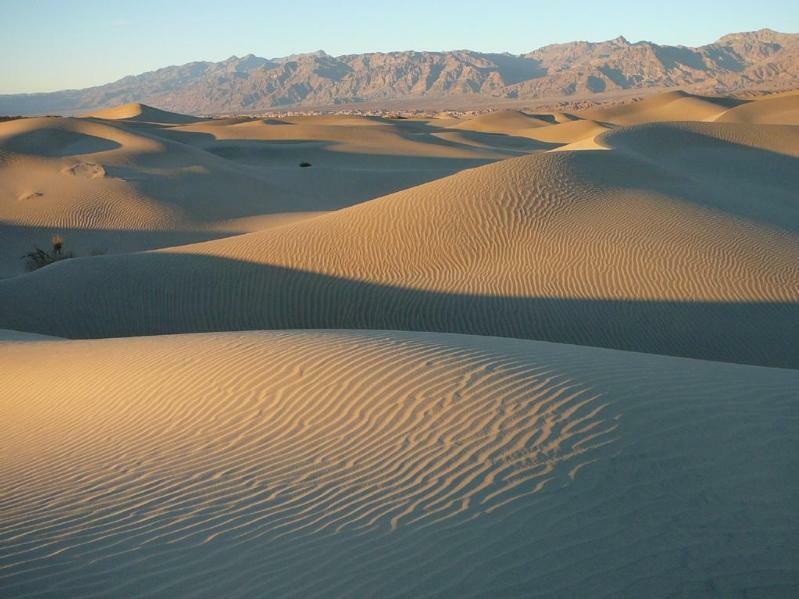 Park officials explain: "El Nino can affect Death Valley by shifting the track of winter and spring storms into the area, increasing rainfall during flower season."